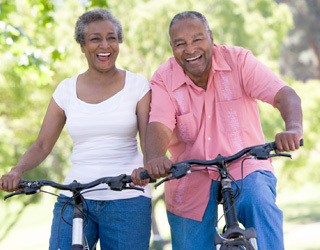 What are some of the benefits to having Medicare Advantage over Original Medicare? Medicare encompasses so many healthcare plans in one program. While this gives eligible members a lot of different options, it can also be confusing if you don’t know what Medicare program is best for your medical needs and budget. If you already have signed up for Medicare or don’t have Medicare yet, there are a few different options that you may want to look at. Medicare Advantage (Medicare Part C) is one of the alternatives to choosing Original Medicare (Medicare Part A and Medicare Part B). Many people choose Medicare Part C because it gives them better options for healthcare, but here are some specific benefits. Simply put, Medicare Part C is different than Original Medicare or Part A and Part B. It’s your own plan that you select from private health insurance companies. You get to pick a plan that has everything you need and probably some extras to cover vision and dental. Medicare Part C is still Medicare, however, which means you are still receiving aid from Medicare and are protected by those rights and benefits. Medicare Part C is also called Medicare Advantage, and true to its name, there are some other advantages to picking your own plan. Health insurance companies must offer the same benefits or better as Medicare Part A and Part B. Since these companies receive help from Medicare to offer these plans at a discount, they typically include some extras such as vision, wellness programs, dental, prescription drug coverage and even hearing aid programs. If you want more options for a lower price Medicare plan, Medicare Advantage will likely have a few different choices and you can pick a plan from some of the best health insurance providers. One of the biggest benefits of all is that with most Medicare Part C plans, prescription drug coverage is included. This means that you receive generic drug prescriptions at a great discount. You can also get brand name drugs in some private health insurance plans though it may cost a higher premium. Most prescription drug coverage can also be added for just $12 a month with some private Medicare Advantage plans. If you require a prescription regularly, you could actually be getting your medication for much less each month. While you may not have to pay anything with some Medicare Advantage Plans, most likely you will pay a small premium. If you get Original Medicare, you will pay separately for Part A, Part B and Part D. You will have different cards for each plan. It can be very confusing. Another benefit of Medicare Advantage is that you have just one payment and one card. You don’t have to spend a whole lot of time figuring out where the payment is going and when you have to pay it. You work with a private health insurance company, and if you choose one of the better and more advanced companies out there, you can check all of the information on your policy online and even make payments instantly from your phone. Medicare Advantage plans in most private health insurance companies include some form of “home away from home” healthcare, which means that you can always get emergency healthcare even when you are travelling out of the country. If you plan on heading out to a different part of the world, you always want to protect yourself, which is why so many seniors switch to Medicare Advantage in order to get covered while taking some adventurous tours In South America. You definitely don’t want to be without coverage wherever you go. Most enrollees pay around $60 a month for Medicare Part C plans. While you have to include Part B in your payment, many are eligible for tax credits and discounts so they don’t have to pay Part B premium or it’s at a very low cost. You can also compare many of the plans from private insurance companies online. This allows you to pick and choose exactly what coverage you need and plan accordingly for your budget. It can be difficult trying to figure all of this information out on the Medicare.gov website. You can always use MedicarePartC.com if you want to compare plans. Will the plan cover your preferred healthcare providers? What are the costs of co-pays, premiums and other out-of-pocket charges? Are there any coverage restrictions? Are hospital stays and skilled nursing facilities included? Does it have prescription drug coverage? If you are thinking of supplementing your policy with Medigap coverage, it’s actually more complicated to do this rather than just switching to Medicare Part C. If you qualify for Medigap coverage, then you might have to pay an addition premium separately for using this coverage, which would create another payment plan. While private companies do offer Medigap insurance policies, they are not as comprehensive as Medicare Part C. They only offer some additional coverage for services that you should already receive with Medicare Part A and Part B, but you don’t. If you want a real all-in-one type of Medicare plan, then the only option is Medicare Part C. This way all of your payments cover your medical costs, doctor visits and prescription drugs. Like to work out? Private insurance companies are picking up on incentives to offer members of Medicare Advantage. Free gym memberships are regularly included in Medicare Advantage plans along with other incentives because it gives you another reason to choose their insurance over another. As with any health insurance plan, you should read the different benefits and look at the fine print before deciding on any coverage that may change your healthcare in a way you don’t like. One thing to remember is that Medicare Advantage plans must include all of the services offered in Original Medical plans. This means that preventive care, doctor’s visits, emergency care, skilled nursing facilities, lab tests and more. You can always come to MedicarePartC.com to look at different questions or find answers on some of the confusing parts of Medicare.